The Knights are known for their active stance in the defense of life especially of the unborn. 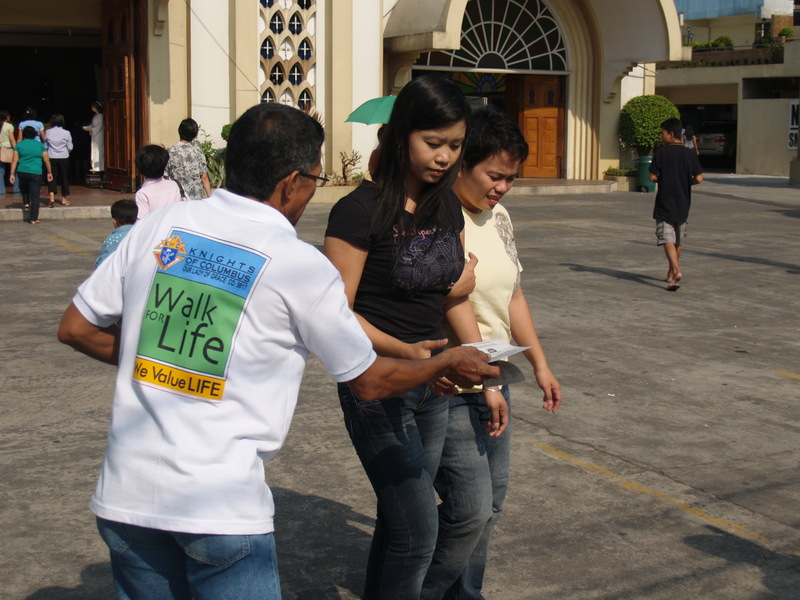 This Good Friday, the Knights of Council 5617 took the opportunity to hand-out flyers produced by Filipinos for Life.com. The Council also produced a specially designed shirt expressing our non-negotiable and unflinching support to the defense of life more specifically our stand against artificial birth control and abortifacients which a bill in both Houses of Congress in the country is pushing to legalize. 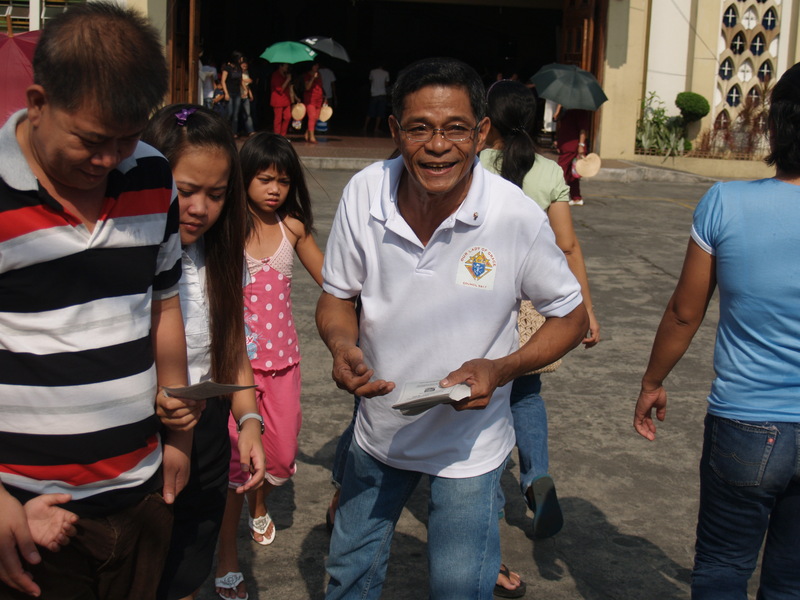 Photo below shows SK Jun Llaneta, Worthy Warden, distributing flyers to the faithful who made their Good Friday pilgrimage to the Our Lady of Grace Parish Church.